I was thinking about this throughout the day. As a Catholic should I be jubilant over the death of Usama Bin Laden? From what I saw this weekend, on Divine Sunday of all days, the beatification of Pope John Paul II, the cheering crowds in front of the White House, many in their early twenties and thirties, couldn't help be feel, well kind of embarrassed. Okay, I was relieved that he was final brought to justice however cheering in the street was not my first reaction. On my way home from work I listened to a discussion on this topic between Fr. Bill O'Reilly and a Catholic Priest (Fr. Edward Beck), in which Bill insisted that he had the correct Catholic response (supporting the outward jubilation) and the good father didn't know what he was talking about. Then to top it off the all knowing Catholic theologian Bernie Goldberg began his segment with a swipe at the priest. I don't think Goldberg knows his family faith at all. Rabbi David Wolpe of Sinai Temple in Los Angeles, an author and public speaker, agrees. Wolpe quoted a passage from the Talmud in which a rabbi wishes for the death of sinners, and his wife corrects him by telling him to wish for the death of sin. 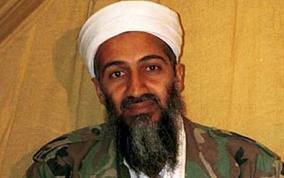 “What we really want is not the end of Bin Laden, but the end of bin-Ladenism, and that didn’t happen,” Wolpe said. Dispite Fr. Bill O'Reilly's credentials here are a few articles that reflect my sentiments on the subject. Shouts of gladness? Or silence? It seems clear enough that a Christian ought not to rejoice in a man's death as such. But may a Christian rejoice in a wicked man's death, insofar as he did wicked things and one is pleased that such wicked things will cease? Praying for our enemies does not seem to preclude such a thing. I am guessing that he made this announcement tonight, USA, time, so that people rising in other parts of the world would get the fresh news during the morning at the beginning of a week, as markets open, etc. Had it come at the end of the week, it would have been fodder for Friday evening Muslim sermons. It still will be, but after several days. Nevertheless I find the timing of both the event of his killing by a small team of US operatives in a fire fight and the release of the news interesting. One friend called me facetiously to opine that they actually found him at a Taco Bell in North Carolina and flew him back to Pakistan before… you know. Moreover, the President seems now to be ready to quote a standard of American patriotism, the Pledge of Allegiance, with its strong invocation of God, when for sometime he couldn’t bring himself to quote the Declaration of Independence correctly with its reference to a Creator who gives us our rights. Color me cynical.